Volunteering with Susan G. Komen® San Diego is a rewarding way to give your time and talents to support our bold goal to reduce the current number of breast cancer deaths in the U.S. by 50% by 2026. We offer year-round volunteer opportunities all over San Diego County from assisting with outreach, education, office-based projects to special events such as the Race for the Cure®. Without the efforts of our amazing volunteers, we wouldn’t be able to accomplish even a fraction of what we do today. Whether you’re a survivor, a co-survivor or just someone who cares, we’d be grateful for whatever time you have to offer. My mom was diagnosed with breast cancer and the mammogram that saved her life—was funded by a Komen grant. I became involved with Komen San Diego after my mom’s diagnosis by participating in the Race for the Cure. I thought it would be a great way to pay it forward. So many people had walked and fundraised before us, and thanks to their efforts, my mom was able to receive services that saved her life. Now it was our turn to help women get that same opportunity. After the Race, I decided that fundraising was not enough. 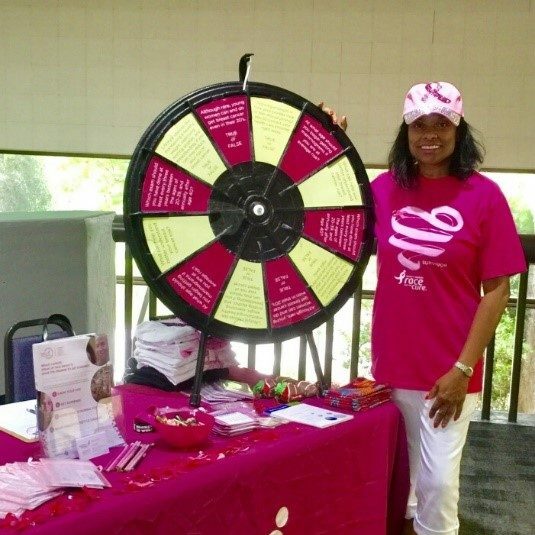 I felt the need to get more involved and help the women in my community understand the importance of getting yearly mammograms. I started volunteering in the Komen San Diego office and at education/outreach events. Knowing you can make an impact in someone’s life is the most rewarding feeling—plus it is a lot of fun being in the community and meeting new people. My name is Rosalyn Williams. I am a 13 year Breast Cancer Survivor. I love volunteering for Susan G. Komen San Diego because it allows me to help save lives and educate others on the importance of getting a mammogram and early detection. I find this opportunity fulfilling, gratifying and rewarding. 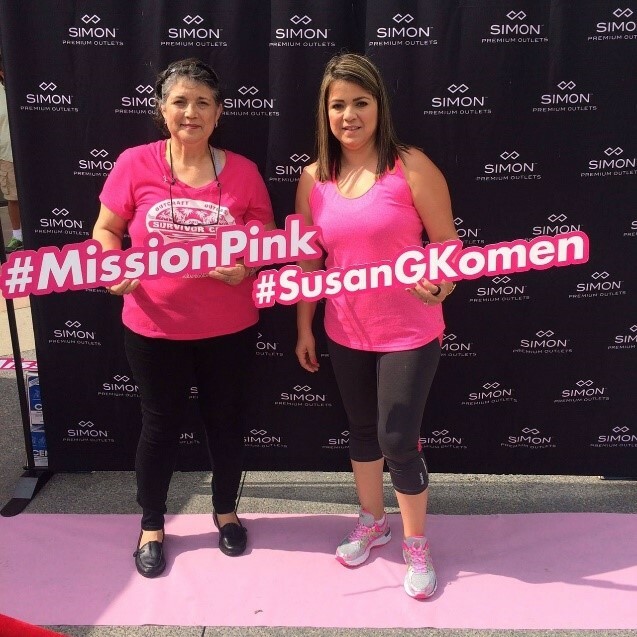 Susan G. Komen helps all walks of life, ethnicity, and gender. I really love how Circle of Promise is geared towards targeting and servicing our less fortunate communities with women of color. Komen San Diego is a great organization to volunteer for. I really enjoy volunteering for the Komen San Diego Circle of Promise program with Wendy Shurelds, the Community Resource Advocate for COP. 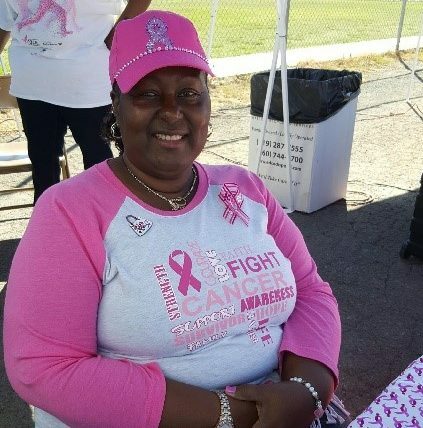 Volunteering provides me the opportunity to encourage other women who may be experiencing a breast cancer diagnosis. My life goal is to reach out to others and be there for them as someone was there for me. “Each one, teach one” and “You have to go through some things to get where you are going.